A day out on the Arriva Bucks Plus, visiting the Leighton Buzzard Narrow Gauge Railway, Aylesbury and Princes Risborough. Chiltern 165023 at Princes Risborough. 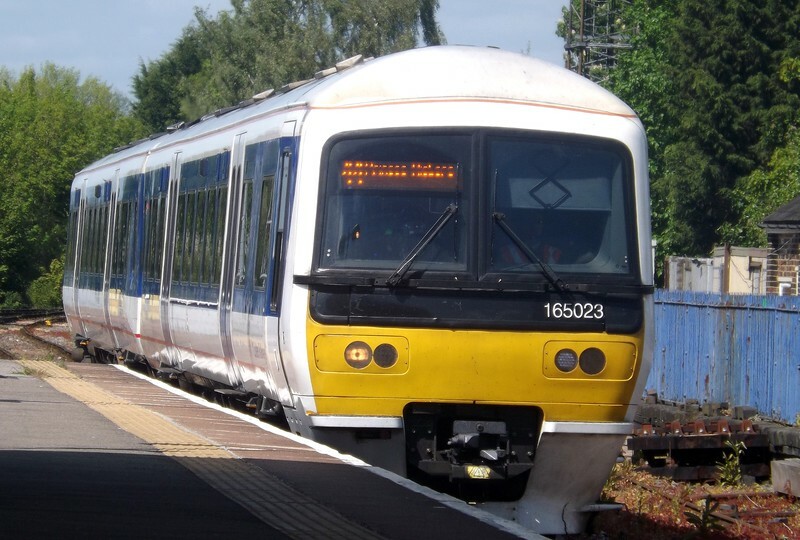 Chiltern Railways Class 165 Turbo no. 165023 at Princes Risborough with a service from Aylesbury, 16/05/2015.